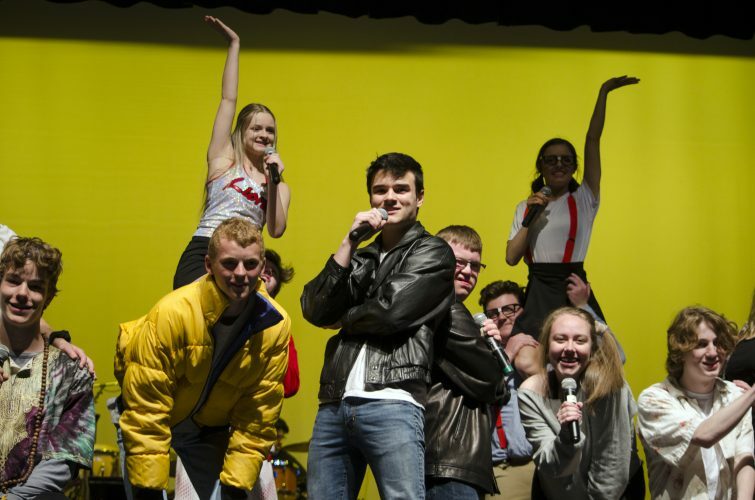 Images from Friday night’s city showdown between the Firebirds and Lions at Free State High School. 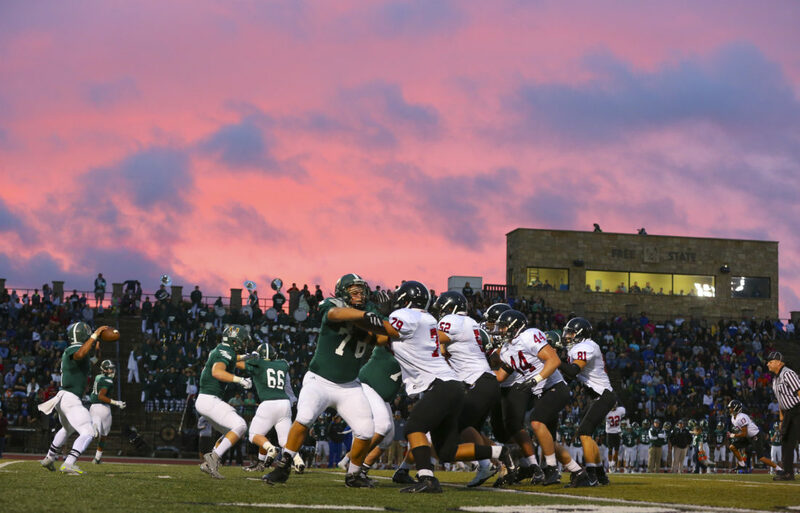 The Lawrence High Lions and Free State Firebirds collide as the sun goes down during the first half on Friday, Sept. 17, 2015 at Free State High School. 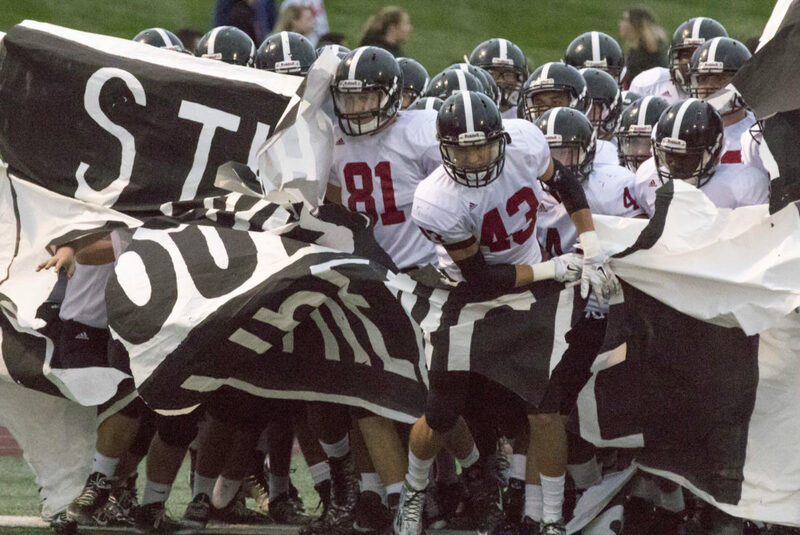 Led by senior Konner Kelley (43), the Lawrence High Lions take the field prior to the start of their game against Free State Friday evening at FSHS. 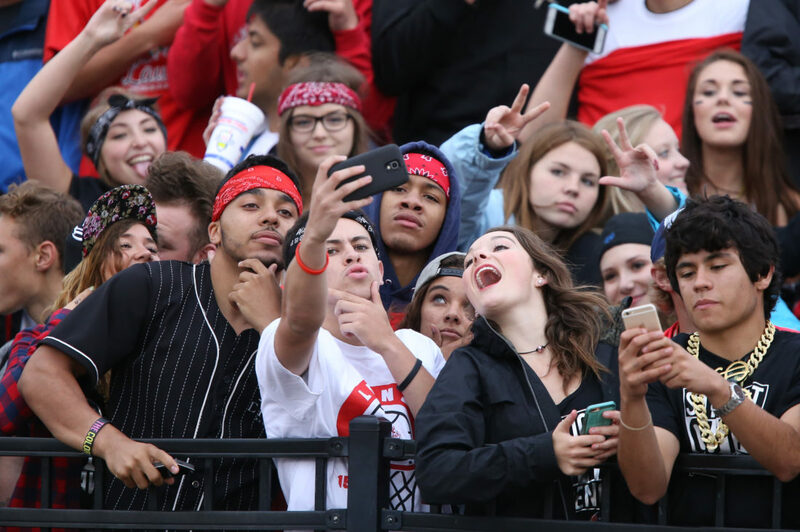 A group of Lawrence High students pile in for a pregame selfie on Friday, Sept. 17, 2015 at Free State High School. 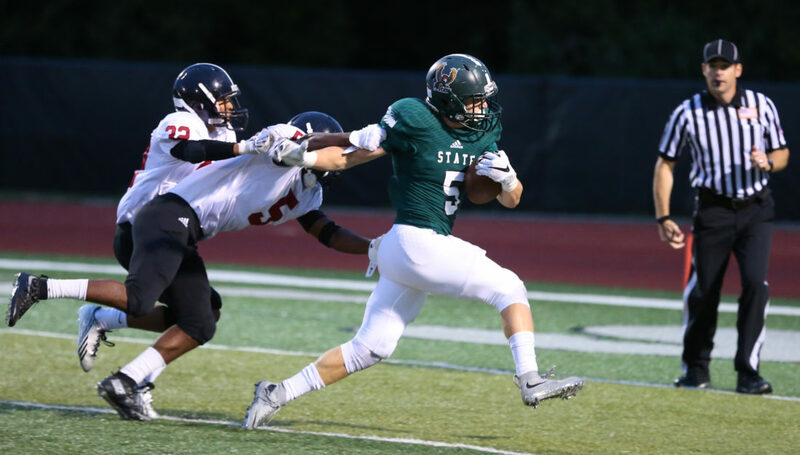 Free State receiver Zack Sanders (11) looks to stiff arm Lawrence High linebacker Ethan Taylor (56) during the first half on Friday, Sept. 17, 2015 at Free State High School. 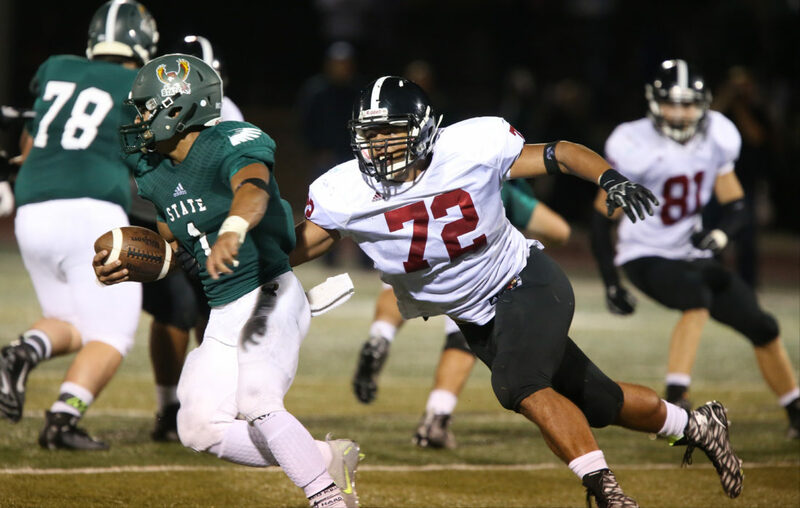 Lawrence High defensive lineman Amani Bledsoe (72) comes around to wrap up Free State quarterback Bryce Torneden (1) for a sack during the first half on Friday, Sept. 17, 2015 at Free State High School. 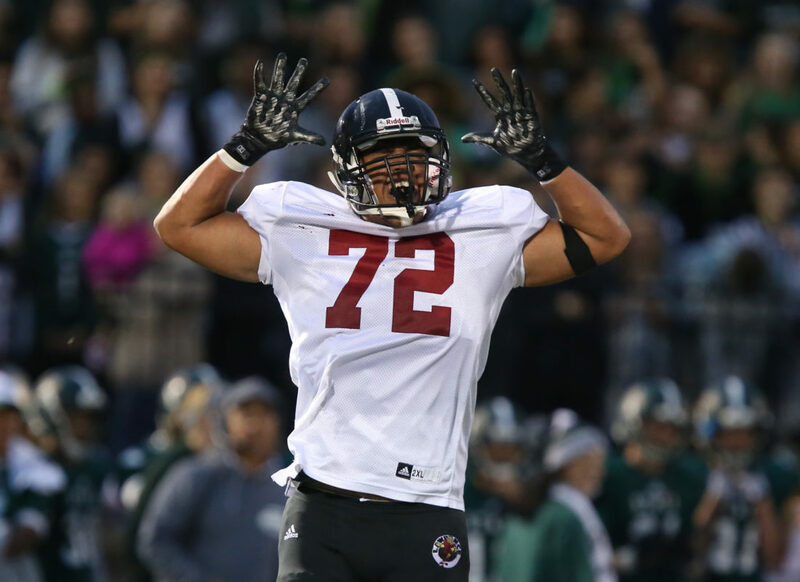 Lawrence High defensive lineman Amani Bledsoe (72) celebrates a sack during the first half on Friday, Sept. 17, 2015 at Free State High School. 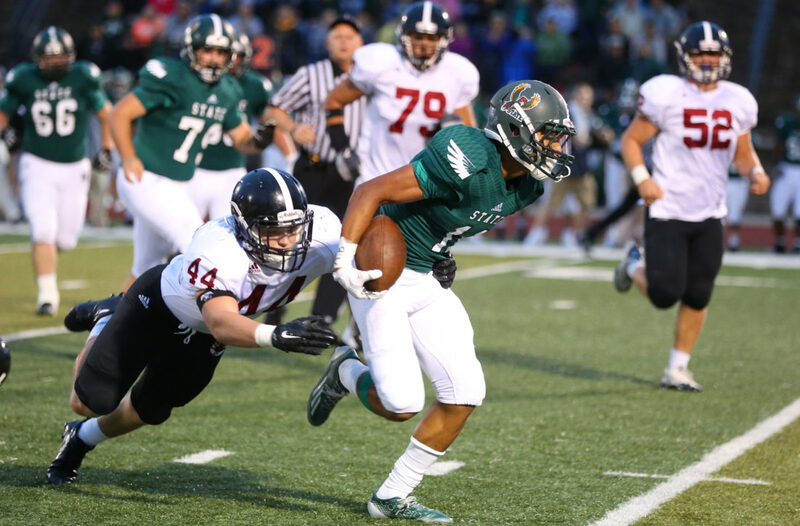 Lawrence High linebacker Tanner Green (44) looks to wrap up Free State receiver Zack Sanders (11) during the first half on Friday, Sept. 17, 2015 at Free State High School. 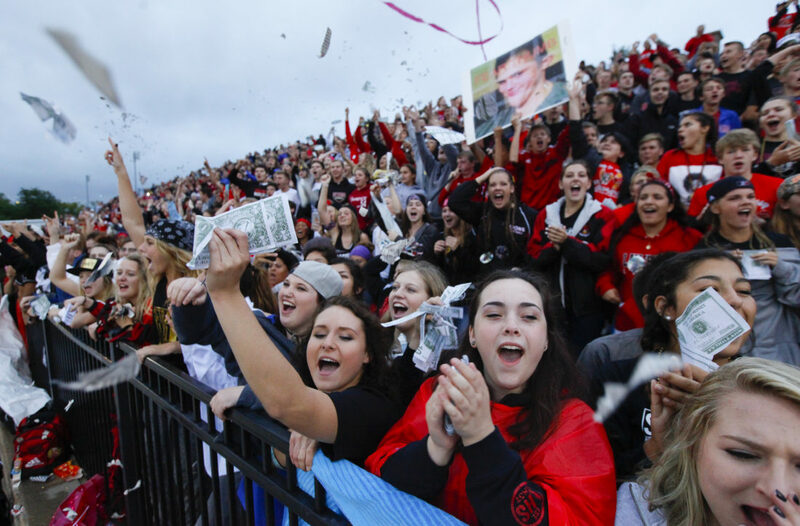 The Lawrence High student section lets some fake money fly as the Lions take the field prior to kickoff against Free State on Friday, Sept. 17, 2015 at Free State High School. 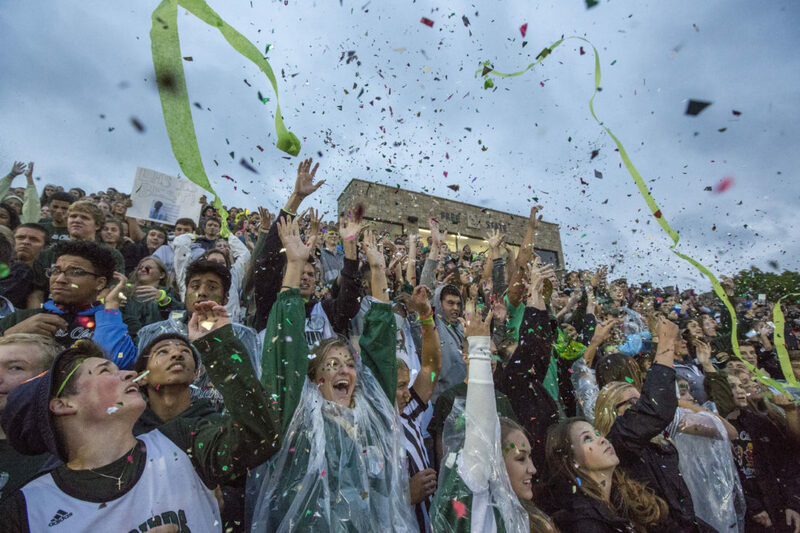 Free State students launch glitter and streamers into the air during the opening kickoff of the Firebirds' football game against Lawrence High on Friday evening at FSHS. 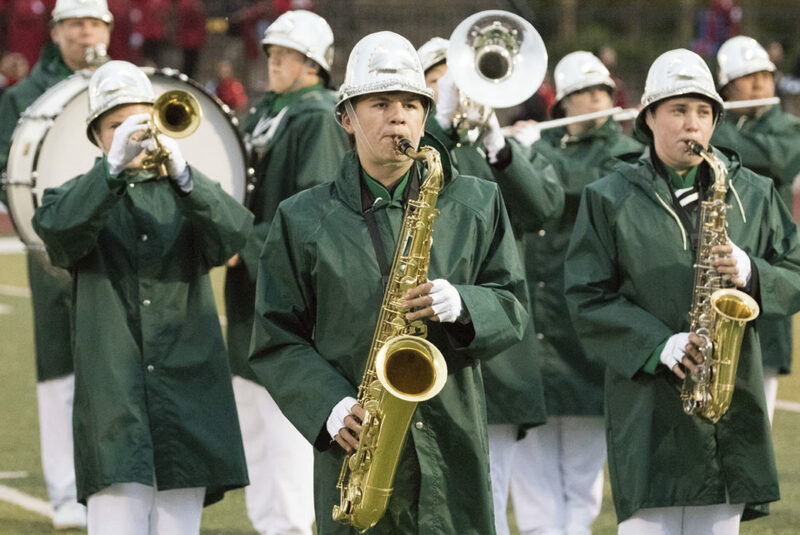 Members of the Free State band wear rain coats as they play before the start of the Firebirds' football game against Lawrence High on Friday evening at FSHS. 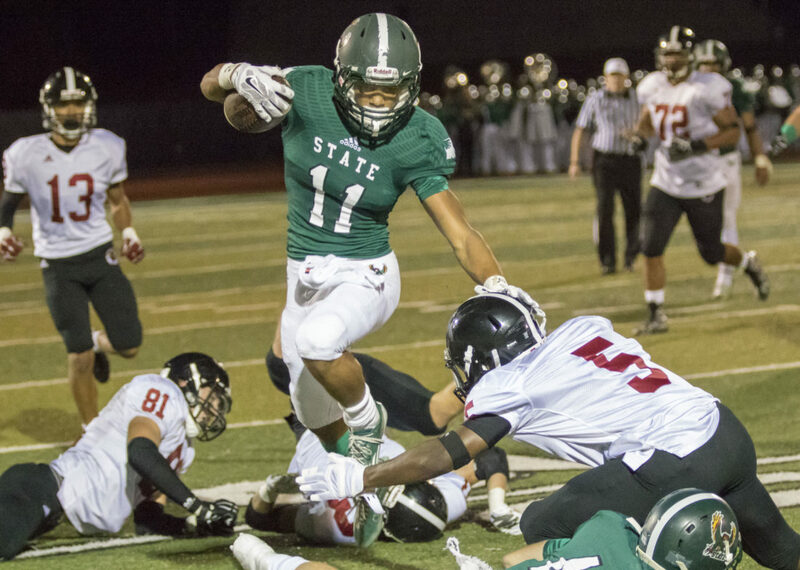 Free State running back Sam Skwarlo (5) shrugs off Lawrence High defenders Ivan Hollins (5) and defensive back Dante Jackson (32) on his way in for a touchdown during the first half on Friday, Sept. 17, 2015 at Free State High School. 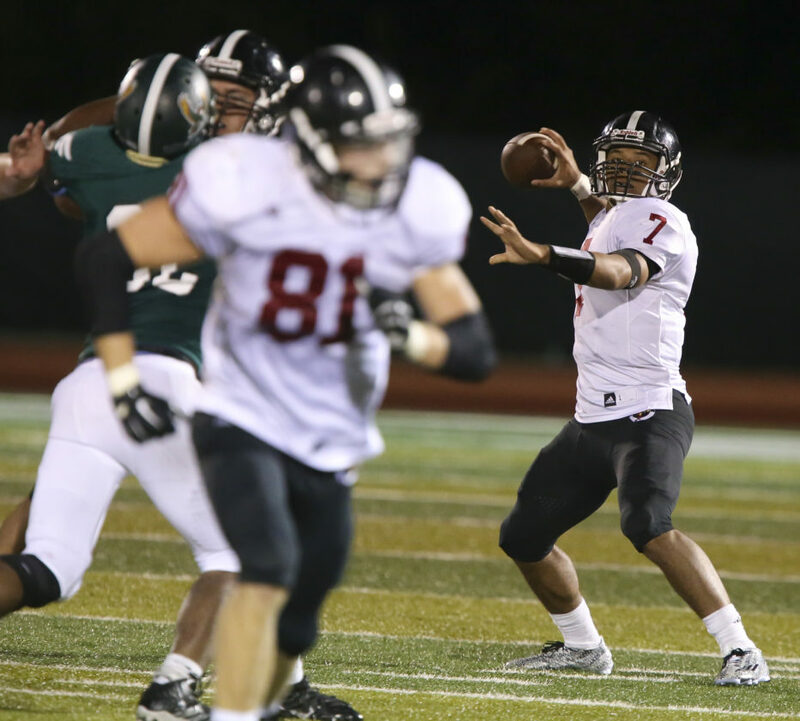 Lawrence High quarterback Alan Clothier (7) looks to get away from Free State defensive back Jack Flynn (6) during the second half on Friday, Sept. 17, 2015 at Free State High School. 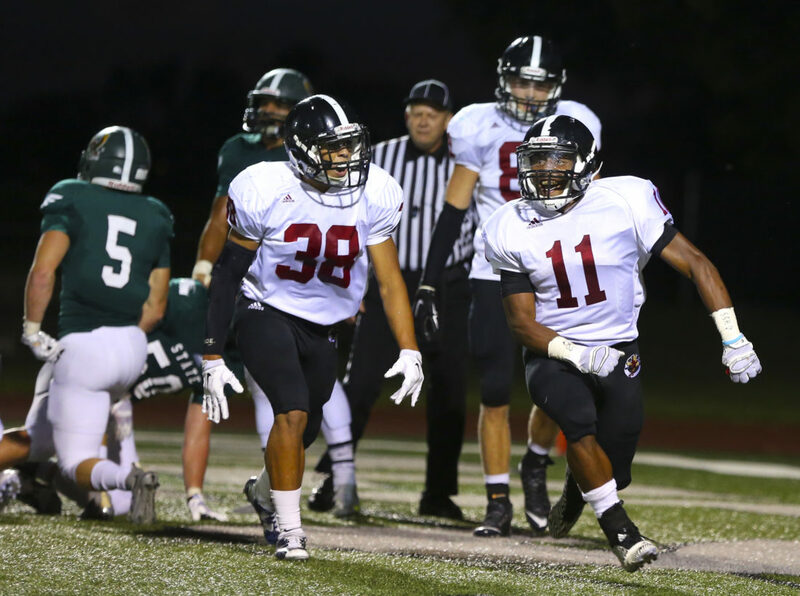 Lawrence High running back JD Woods (11) celebrates with running back Trey Moore (38) after Woods' touchdown during the first half on Friday, Sept. 17, 2015 at Free State High School. 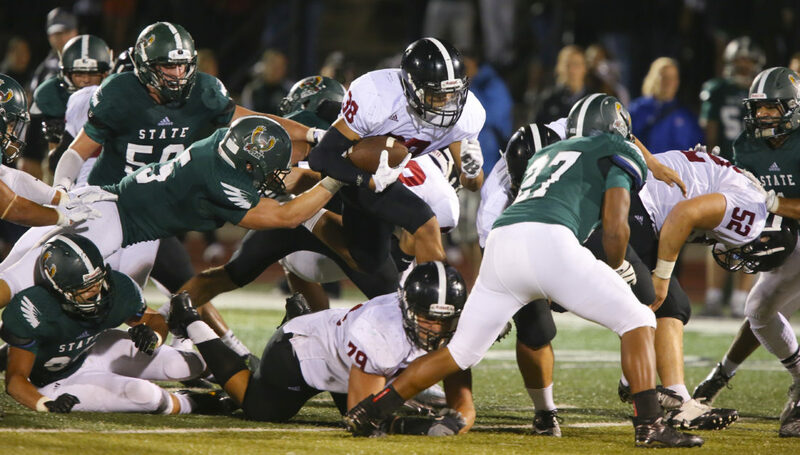 Lawrence High running back Trey Moore (38) hops over the Free State defense on a run during the second half on Friday, Sept. 17, 2015 at Free State High School. 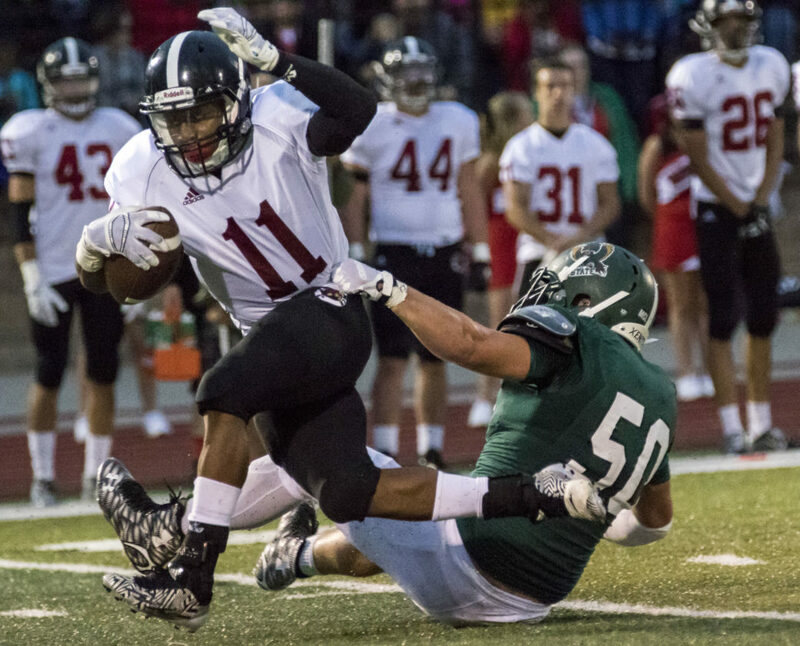 Free State senior defensive back Sam Skwarlo leaves his feet as he tries to bring down Lawrence High senior JD Woods (11) during their football game Friday evening at FSHS. The Lions outlasted the Firebirds, 14-12, and improve to 3-0 on the season while the Firebirds drop to 0-3. 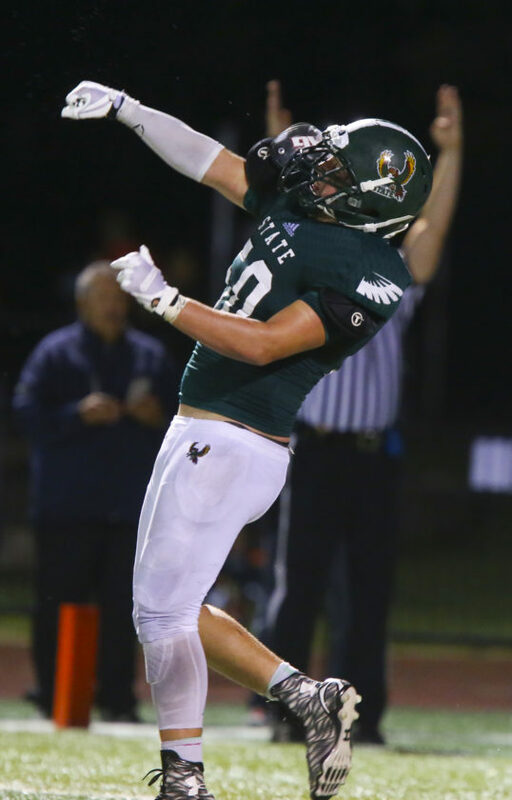 Free State receiver Jay Dineen (50) pumps his fist after a late touchdown during the second half on Friday, Sept. 17, 2015 at Free State High School. 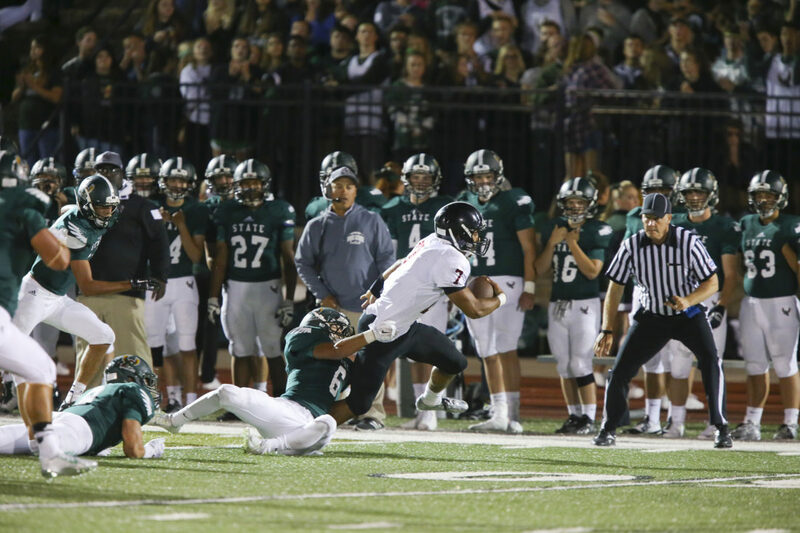 Lawrence High quarterback Alan Clothier (7) throws to tight end Price Morgan (81) late in the the second half for a first down on Friday, Sept. 17, 2015 at Free State High School. 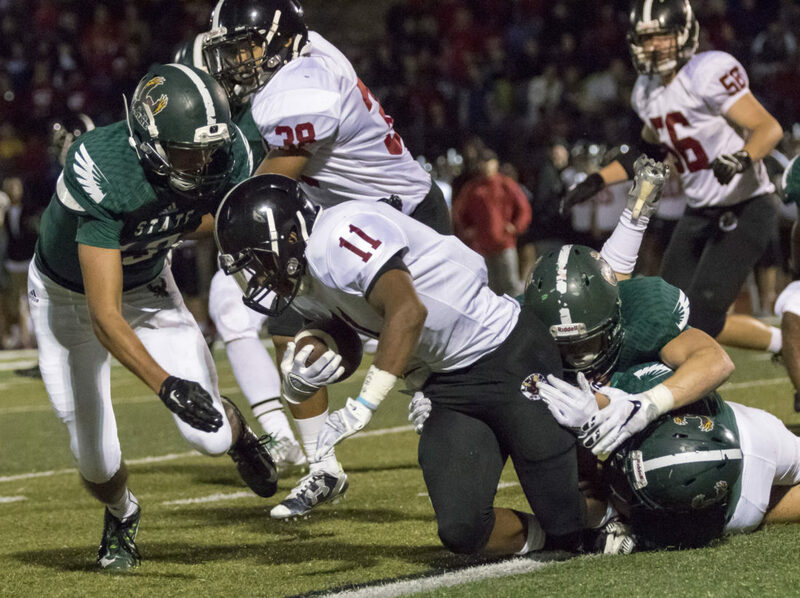 A deep pass gets over the outstretched arm of Lawrence High defensive back Dante Jackson (32) to Free State receiver Zack Sanders (11) late in the second half on Friday, Sept. 17, 2015 at Free State High School. Sanders was unable to pull in the catch. 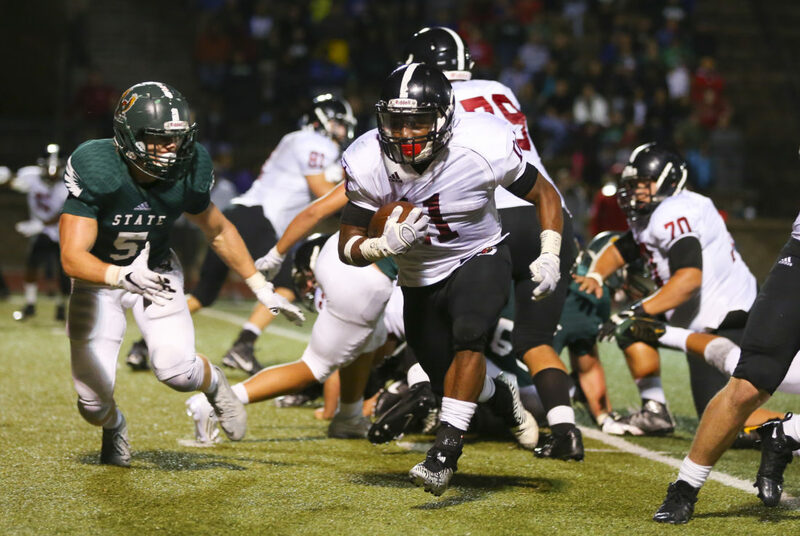 Lawrence High running back JD Woods (11) heads in for a touchdown past Free State inebacker Sam Skwarlo (5) during the second half on Friday, Sept. 17, 2015 at Free State High School. 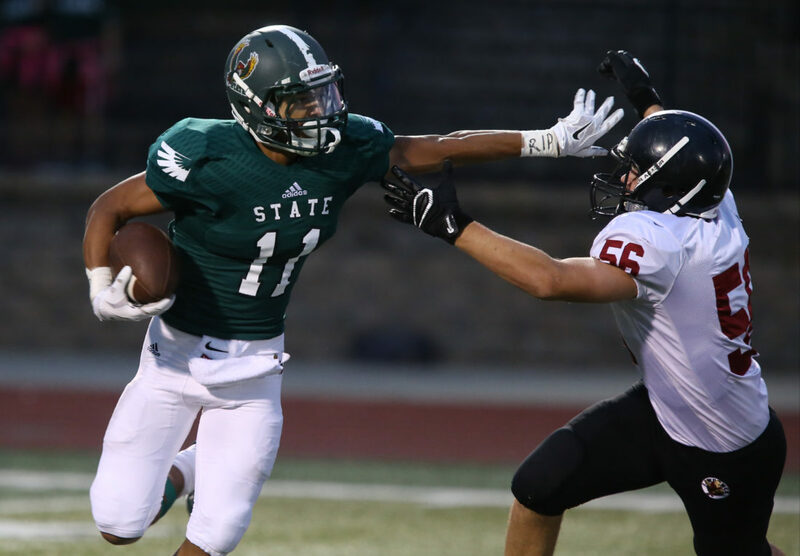 A potential game-tying, two-point-conversion pass to Free State receiver Zack Sanders (11) goes wide late in the game on Friday, Sept. 17, 2015 at Free State High School. 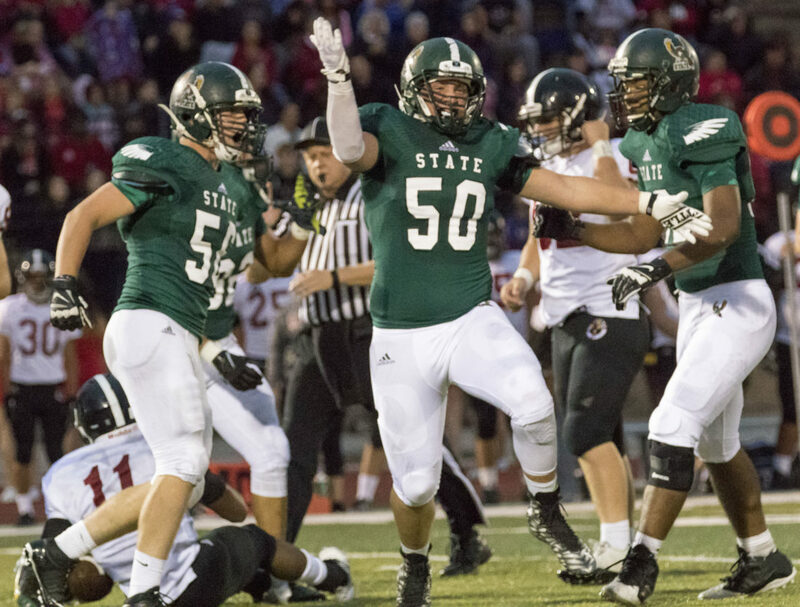 Free State junior Jay Dineen (50) celebrates with teammates after stopping Lawrence High for a loss during their football game Friday evening at FSHS. The Lions outlasted the Firebirds, 14-12, and improve to 3-0 on the season while the Firebirds drop to 0-3. 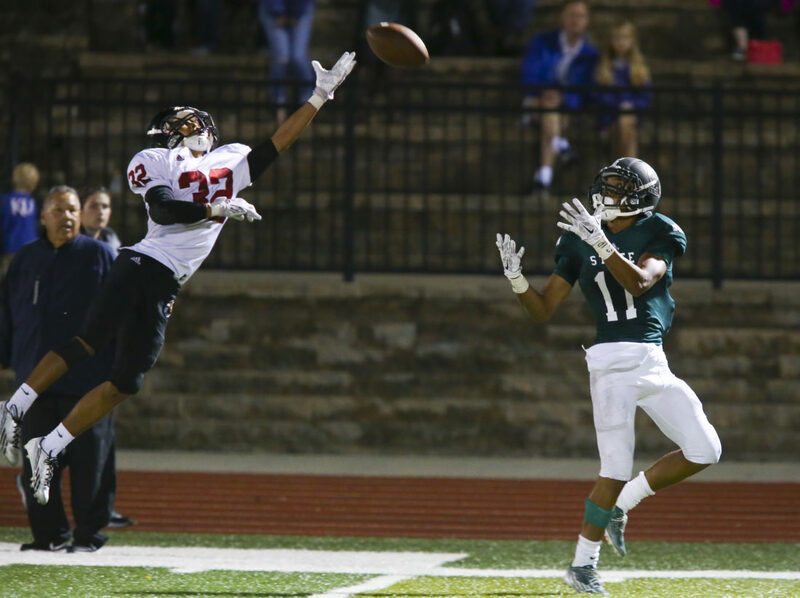 Lawrence High sophomore defensive back Dante Jackson (32) reaches in to break up a pass intended for Free State junior recevier Zack Saunders late in the fourth quarter of their football game Friday evening at FSHS. The Lions outlasted the Firebirds, 14-12, and improve to 3-0 on the season while the Firebirds drop to 0-3. 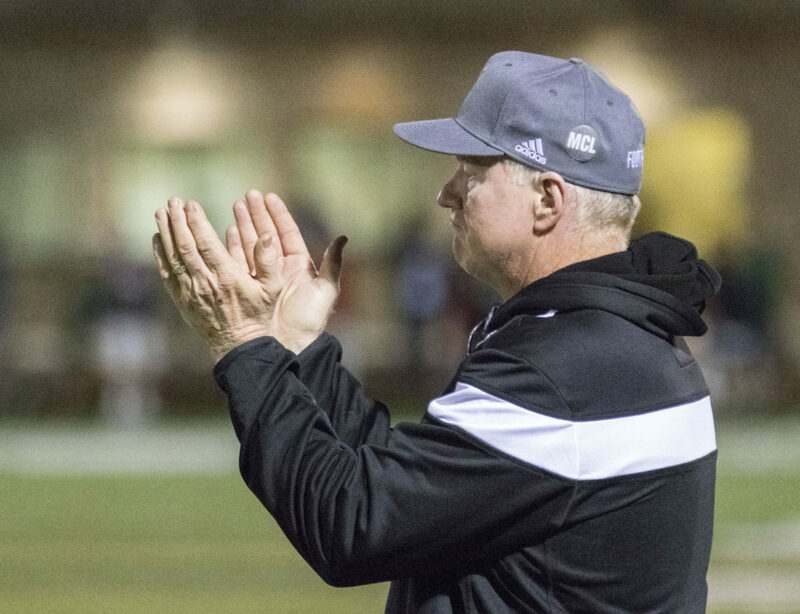 Free State head coach Bob Lisher applauds his team's effort as they come off the field after failing to convert on 4th and 10 late in the fourth quarter of their game against Lawrence High on Friday evening at FSHS. The Lions outlasted the Firebirds, 14-12, and improve to 3-0 on the season while the Firebirds drop to 0-3. 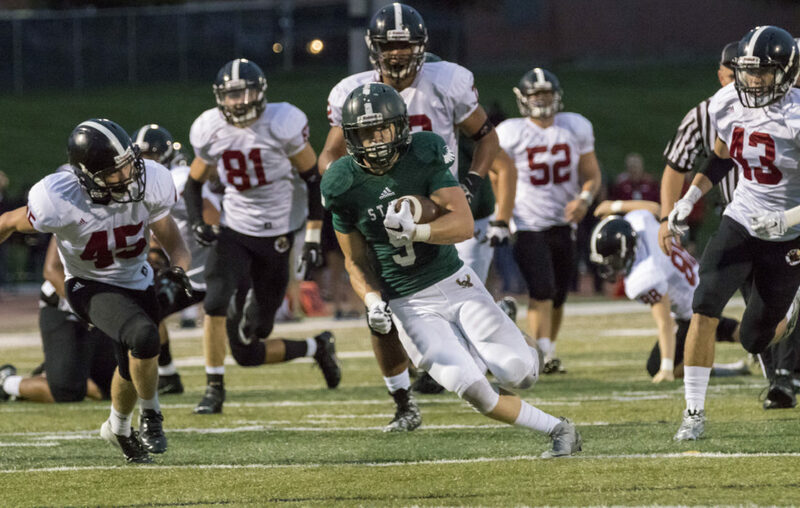 Free State senior running back Sam Skwarlo (5) leaves a pack of Lions in his wake as he scrambles for a first quarter touchdown during their football game Friday evening at FSHS. The Lions outlasted the Firebirds, 14-12, and improve to 3-0 on the season while the Firebirds drop to 0-3. 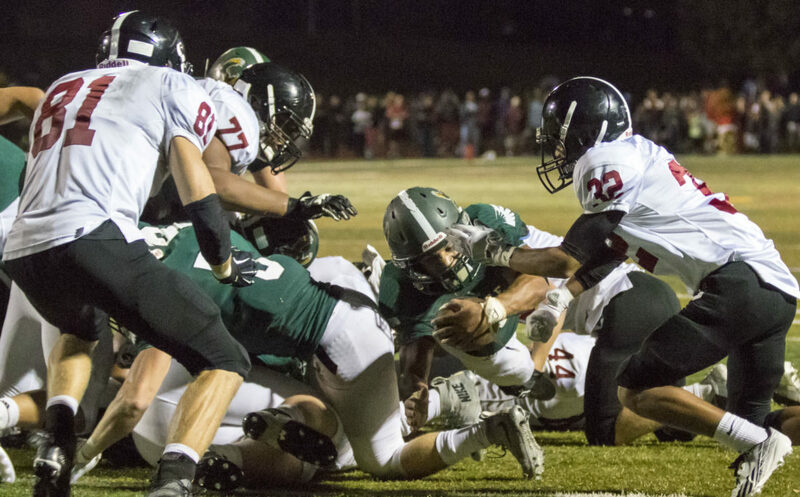 Lawrence High senior running back JD Woods (11) is unable to escape from the clutches of Free State junior linebacker Jay Dineen (50) as Dineen brings him down for a loss behind the line of scrimmage during their football game Friday evening at FSHS. The Lions outlasted the Firebirds, 14-12, and improve to 3-0 on the season while the Firebirds drop to 0-3. 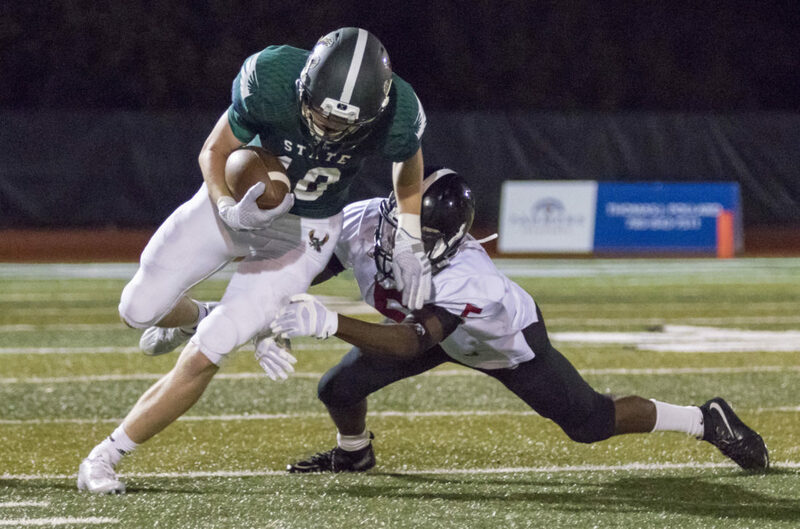 Free State senior receiver Logan McKinney (10) slips through a tackle attempt by Lawrence High senior defensive back Ivan Hollis (5) during their football game Friday evening at FSHS. The Lions outlasted the Firebirds, 14-12, and improve to 3-0 on the season while the Firebirds drop to 0-3. 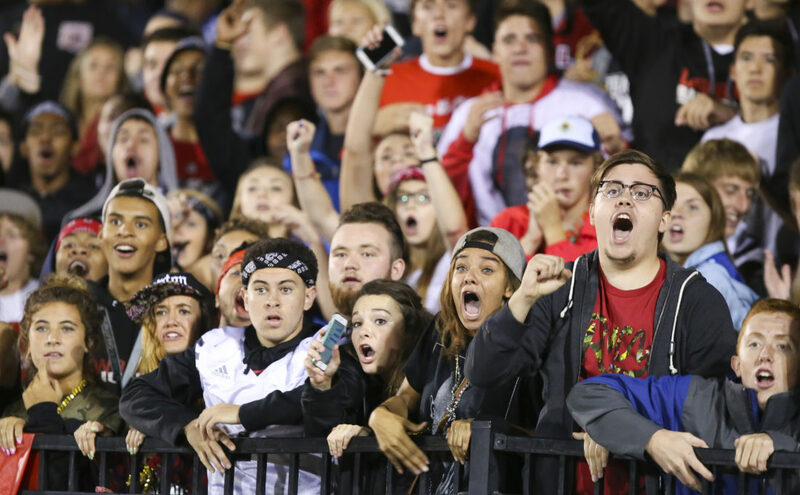 Plenty of eyes light up in the Lawrence High student section as the Lions close in on a touchdown during the second half on Friday, Sept. 17, 2015 at Free State High School. 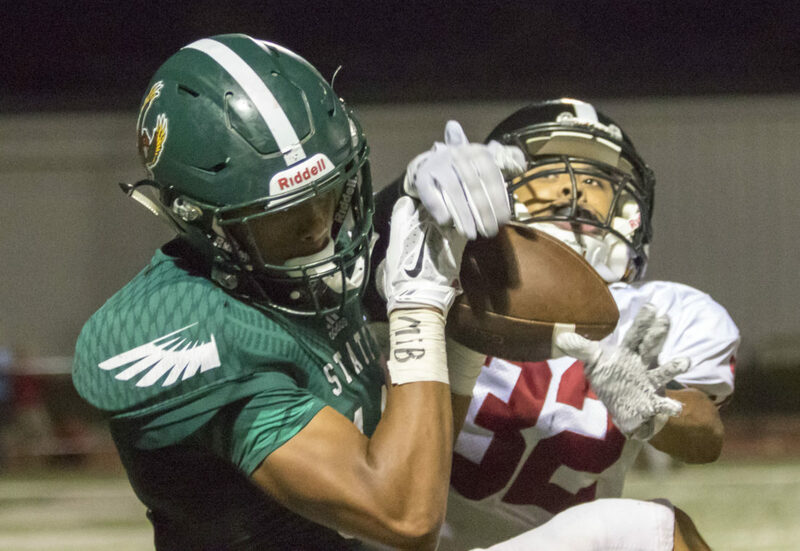 Free State senior quarterback Bryce Torneden reaches the ball across the goal line for a touchdown in front of Lawrence High sophomore defensive back Dante Jackson (32) during their football game Friday evening at FSHS. The Lions outlasted the Firebirds, 14-12, and improve to 3-0 on the season while the Firebirds drop to 0-3. 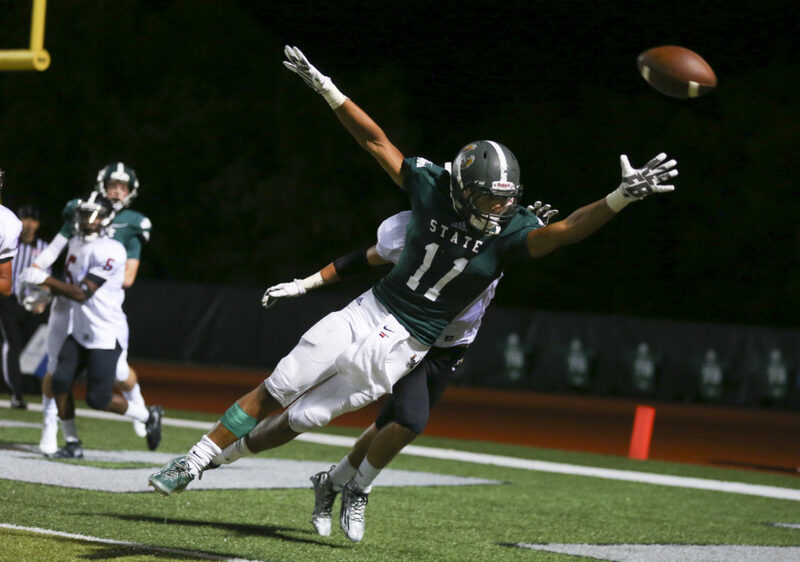 Free State junior receiver Zack Sanders (11) leaps over a tackle attempt by Lawrence High senior defensive back Ivan Hollins (5) during their football game Friday evening at FSHS. The Lions outlasted the Firebirds, 14-12, and improve to 3-0 on the season while the Firebirds drop to 0-3. 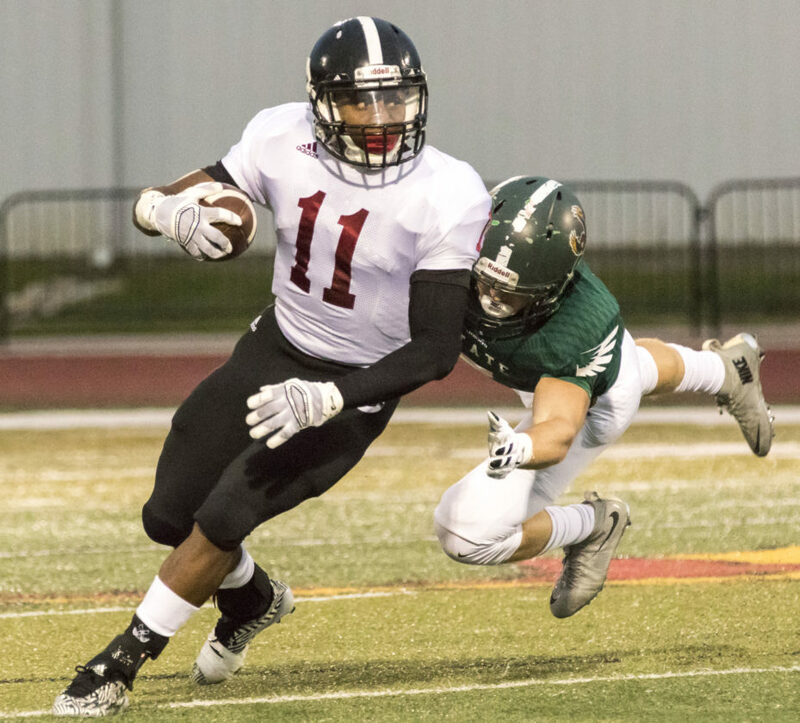 Lawrence High senior running back JD Woods (11) makes a Free State defender miss a tackle as he heads down field during their football game Friday evening at FSHS. The Lions outlasted the Firebirds, 14-12, and improve to 3-0 on the season while the Firebirds drop to 0-3. 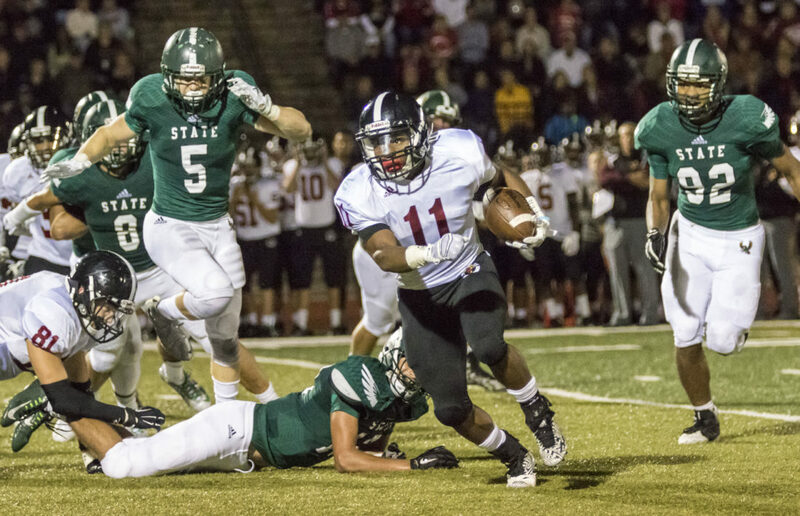 A swarm of Free State defenders team up to bring down Lawrence High running back JD Woods (11) after a short gain during their football game Friday evening at FSHS. The Lions outlasted the Firebirds, 14-12, and improve to 3-0 on the season while the Firebirds drop to 0-3. 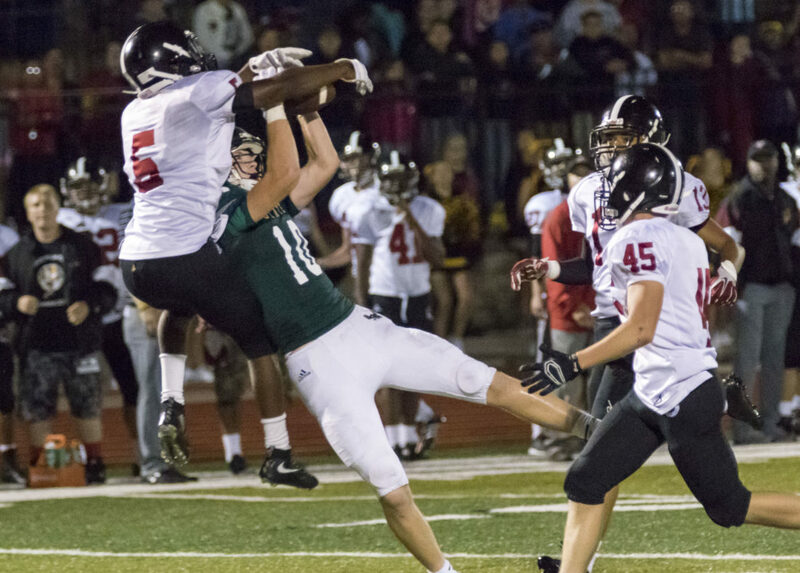 With Lawrence High senior defensive back Ivan Hollis (5) reaching over, Free State senior receiver Logan McKinney (10) hauls in a pass late in the fourth quarter of their football game Friday evening at FSHS. The Lions outlasted the Firebirds, 14-12, and improve to 3-0 on the season while the Firebirds drop to 0-3. 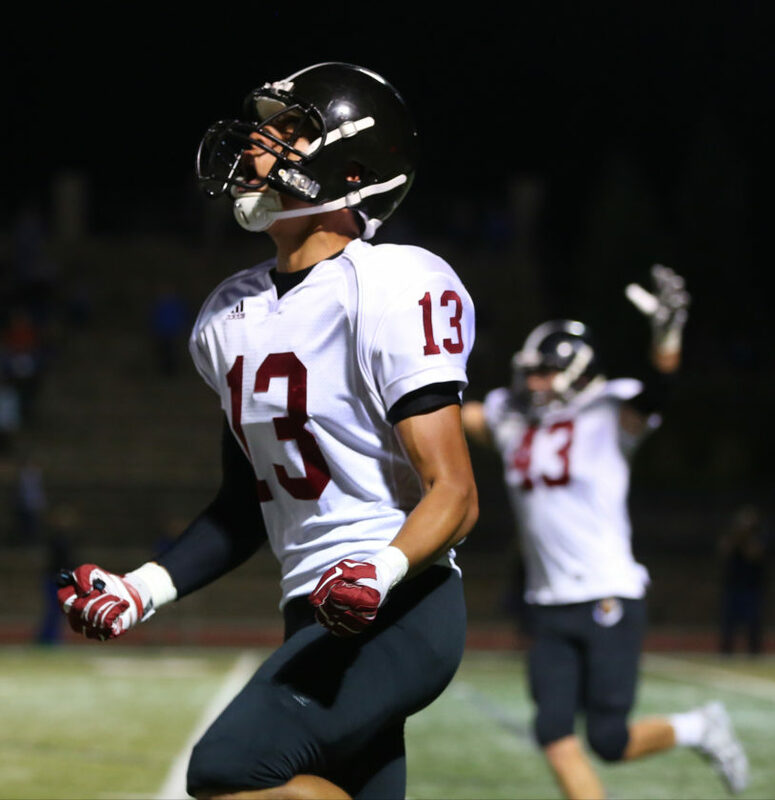 Lawrence High defensive back Jalen Dudley (13) runs off the field to celebrate the Lions' 14-12 win over Free State on Friday, Sept. 17, 2015 at Free State High School. 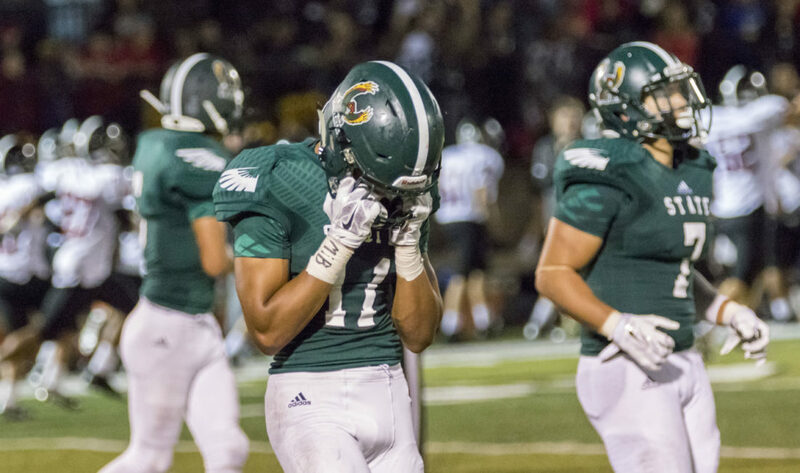 Free State junior receiver Zack Sanders (11) holds his helmet as he walks off the field after the Firebirds' were unable to convert on 4th and 10 late in the fourth quarter of their game against Lawrence High on Friday evening at FSHS. The Lions outlasted the Firebirds, 14-12, and improve to 3-0 on the season while the Firebirds drop to 0-3. 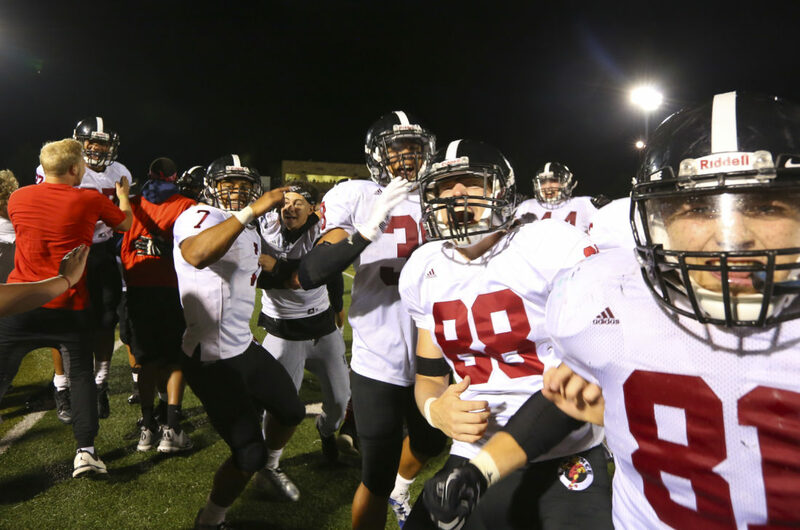 The Lawrence High Lions celebrate on the field following their 14-12 win over Free State on Friday, Sept. 17, 2015 at Free State High School. 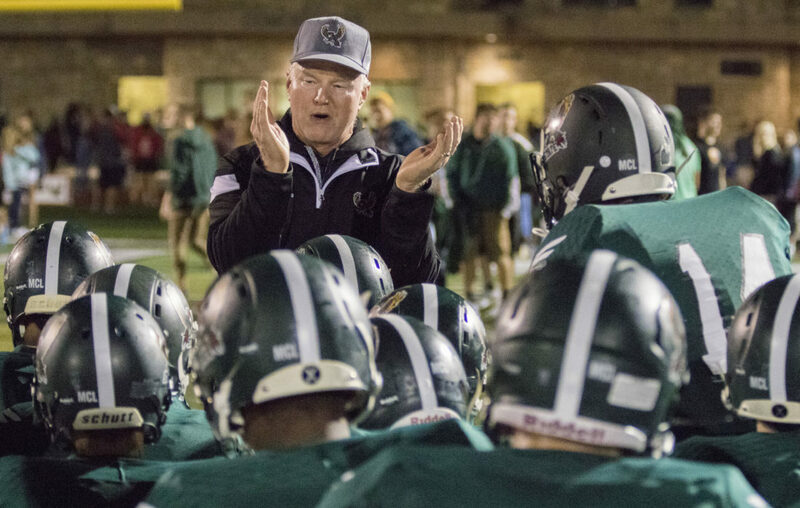 Free State head coach Bob Lisher talks to his team following their loss to Lawrence High on Friday evening at FSHS. The Lions outlasted the Firebirds, 14-12, and improve to 3-0 on the season while the Firebirds drop to 0-3. 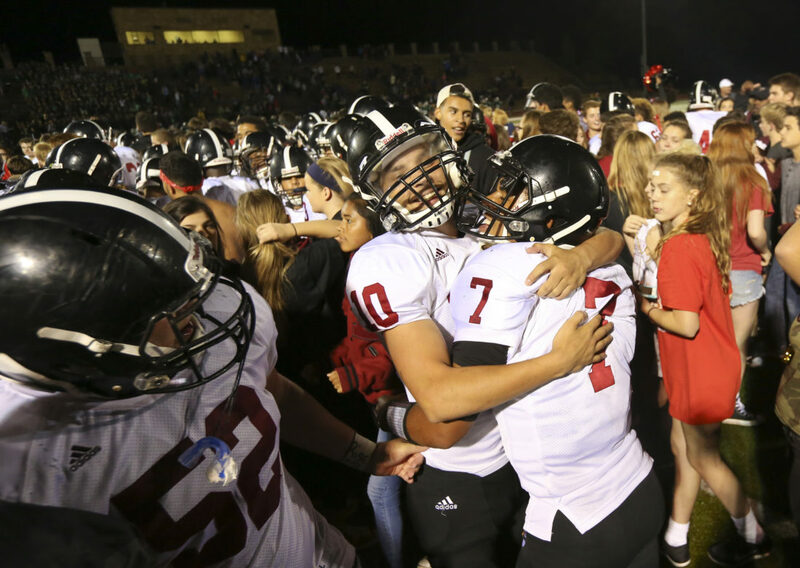 Lawrence High quarterback Alan Clothier (7) is hugged by teammates after the Lions' 14-12 win over Free State on Friday, Sept. 17, 2015 at Free State High School. 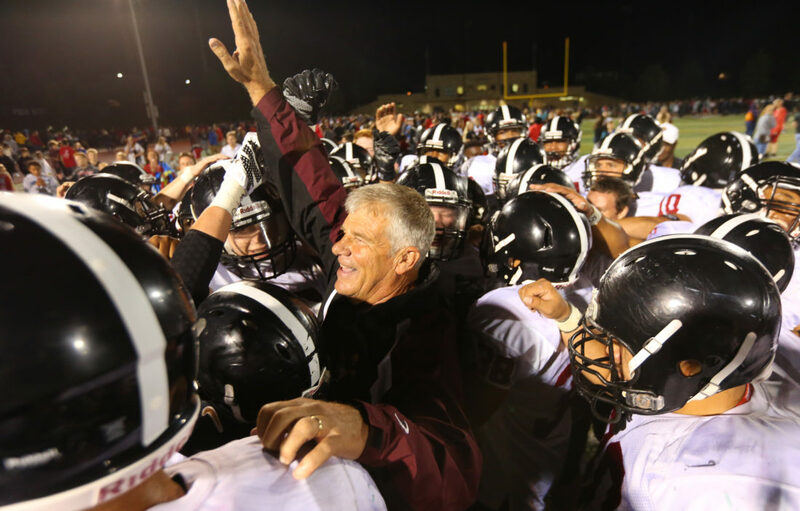 Lawrence High head coach Dirk Wedd is surrounded by his players after the Lions' 14-12 win over Free State on Friday, Sept. 17, 2015 at Free State High School.